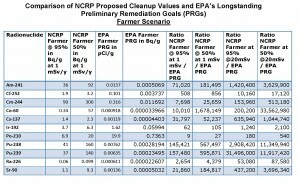 EPA has just issued (April 15, 2013) new Protective Action Guides (PAGs) for dealing with radioactive releases. The new PAGs are in many ways worse than the extremely weak PAGs Bush tried to push out in the last days of that Administration that Obama pulled back. 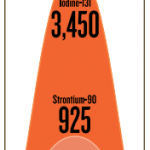 The PAGs eliminate requirements to evacuate people when thyroid or skin radiation doses exceed certain levels, lift a lifetime limit on radiation from such an event that would have triggered relocation, recommend dumping radioactive waste in municipal garbage dumps not designed for such waste, and propose five options for drinking water, all of which would dramatically increase the permitted concentrations of radioactivity in drinking water, by as much as 27,000 times. 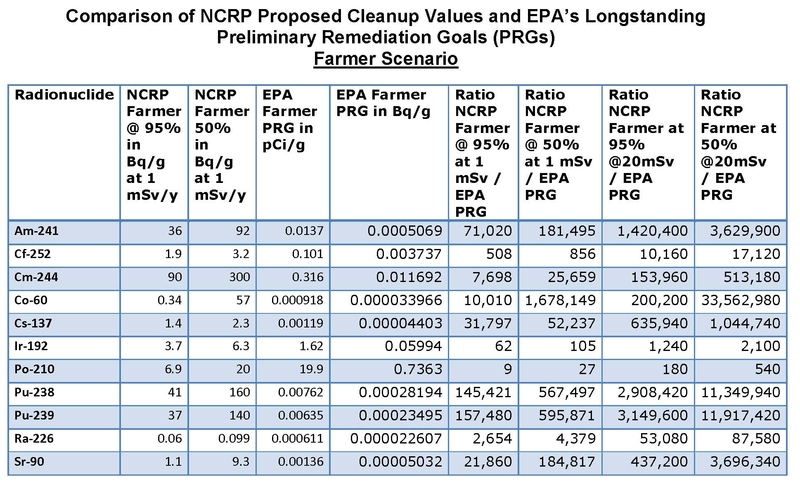 Additionally, the National Council on Radiation Protection and Measurements (NCRP) has published draft guidance for implementing the long-term cleanup portions of the PAGS. 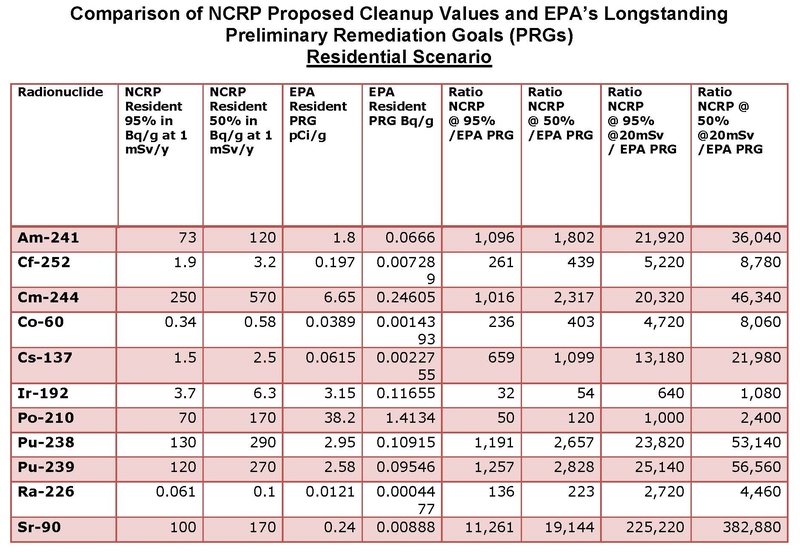 The NCRP guidance would allow the public to be exposed to extraordinarily higher levels of radiation than previously permitted, sufficient to cause a cancer in every sixth person exposed. 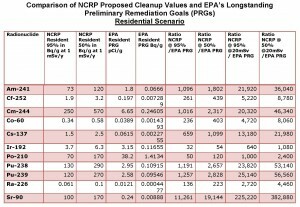 Although public comments are supposedly being solicited, EPA has made the PAGs immediately effective, making the comment opportunity pretty meaningless. CBG Powerpoint Presentation to Gina McCarthy (current EPA Administrator nominee) and other senior EPA officials opposing weakening of protections. Click here to download in .pdf format.